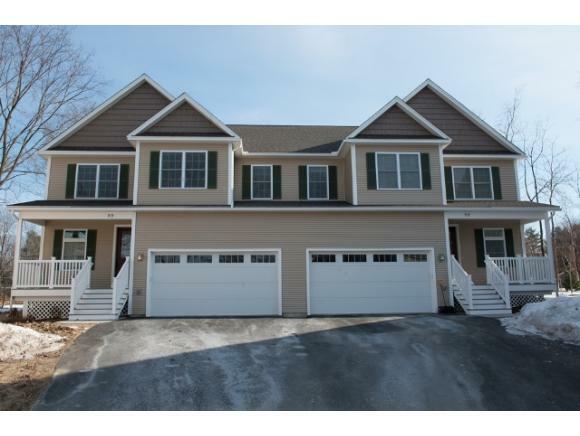 Open House, South Burlington, Sunday, April 19th, 1-3 p.m.
South Burlington, Sunday, April 19th, 1-3 p.m.
For more information or to make an appointment to see this property call Kara Koptiuch at 802-951-2119. Directions: Head South on Shelburne Road, Left on IDX Drive, next to Talbot's or GE Healthcare. Blackberry is on the left, at the top of the cul-de-sac, left side of duplex. Brand new 3, 152 SF, 3 bedroom, 4 bathroom townhome in unbeatable location off Shelburne Road. This unit abuts UVM's Horticulture Research Center and GE Healthcare offering added privacy. Features include: 9' ceilings, 2-zone hot air heat, central AC, stainless steel kitchen appliances, gas range, granite countertop, custom cabinets, hardwood and tile flooring and custom window treatments. Master bedroom boasts crown molding and a huge walk-in closet. In the master bath enjoy an oversized air jetted soaking tub, tiled walk-in shower with double shower heads and his and her sinks. Rear patio off the back of the unit, finished basement with full bath and large walk in closet and attached two car garage.